You've been able to watch videos in VR mode on YouTube on Android devices for a while now. In fact, a few users have been known to accidentally switch into VR mode whilst watching videos and have been confused by the split screen. However, with Google Cardboard it works well and now iOS users can experience that side of VR too. This update doesn't suddenly improve all videos' quality or transform them into 360°, so all these videos won't look great in VR mode. What this split screen mode basically does is bring the video closer to you so when you look at it through Google Cardboard, you'll feel immersed in the video. YouTube has a huge VR library and this gives iOS users the chance to access those videos. 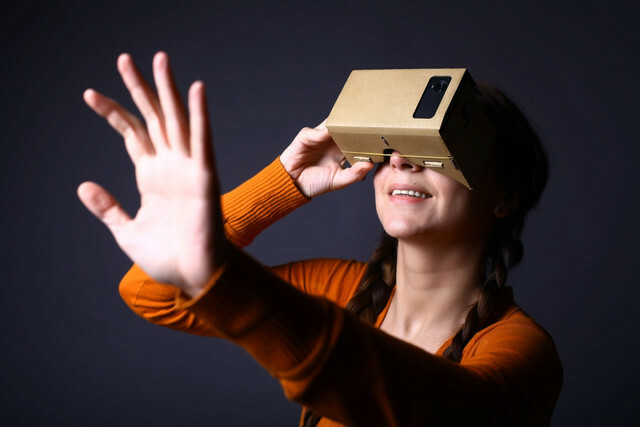 Whether you like the idea or not, virtual reality really is going to be the next big thing. Google Cardboard is the most accessible VR headset at either $15 or you can make one yourself if you download the instructions and wish to do so if the reason you're against it is cost. It's not something you expected people to be able to do with VR and in a way that's what is going to make Google so successful when it comes to it. To be able to access the VR content on iOS, you need to make sure your YouTube app is version 11.18. Once your app has been updated, when you play a video you can click into Cardboard mode through the video settings. Set it up, slide your phone into viewer and then you can enjoy VR content easily. If you don't have a headset then this update really won't do anything for you. If you want to try watching a video in Cardboard mode without a headset then you can, but it will look weird split screen and the way you tilt the phone may mean that the play button pops up at the bottom of the video screen. This isn't the end for VR on the Google end though as they're expected to announce more VR products at their developer conference this week. These may not be anything related to social media, but I think we can trust that Google have the right idea when it comes to VR.